Alfonso Sham A. Lam ESQ. BEATDOM ISSUE 6 RELEASE APRIL SECOND! 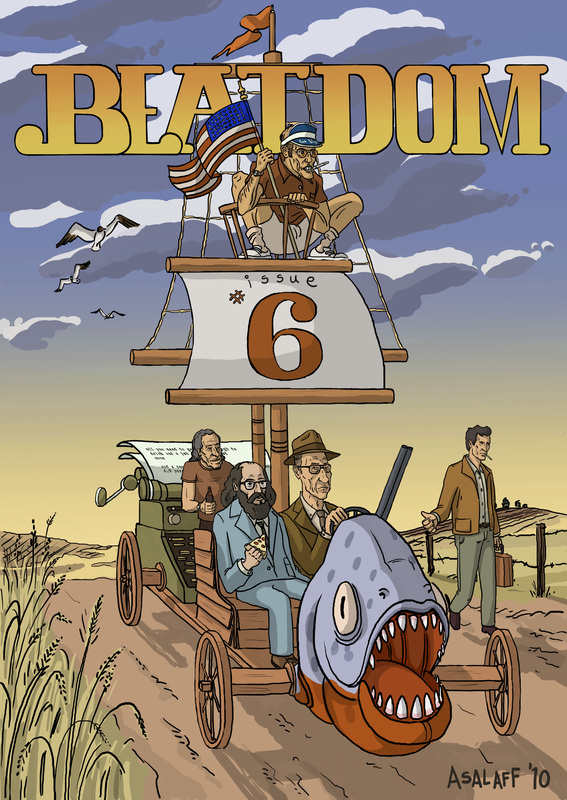 That’s right we are proud to present Beatdom Issue 6. Available @ Beatdom.com and LULU.com. As always downloads are free and hard copies are reasonably priced. Issue 6 features my newest piece LSD 25000, a previously unpublished short story by Aleene Lee or as many of you know better as mardou Fox from Kerouac’s the subterraneans , as well as interview with UK hip hop sensation Scrooobius Pip, poetry from our resident poet Kyle Chase, and essays on travel. Go get it tomorrow it’s a not to be missed issue.